From this chapter forward, John shows Jesus as the suffering Messiah—suffering the unbelief of his own family, the divided opinions of the crowd, and the persecution of the Jewish religious leaders in Jerusalem. By portraying Jesus’ rejection, John provided his first readers and us with a realistic picture of the costs of being a disciple. Those who followed did so knowingly and willingly. John encourages us to believe, to stand firm, and to resist being like those who opposed and doubted Jesus while he lived on earth. 7:1 Because the Jewish religious leaders in Jerusalem were plotting his death (see 5:18), Jesus stayed in Galilee for the next twelve months. He was not afraid of the Jewish leaders; rather, he knew that his time to die had not yet come (see 7:8). When God’s intended time came, he would willingly give his life. According to the synoptic Gospels, during this time Jesus ministered actively throughout Galilee (with Capernaum as his home base). Jesus was ready to die, but not to die prematurely before he carried out God’s purposes on earth. Timing was important. Although Jesus knew his purpose was to give his life as a ransom for sinners, he did not wish to be careless or play into the hands of the religious authorities. We may be tempted to think that our allegiance to God somehow makes us immune to danger, burnout, mistakes, and even gross sins. Many who have regarded themselves beyond temptation have failed miserably. We can keep from living recklessly by honoring God’s timing in our lives. Sometimes obedience involves risk; sometimes it involves caution. We must determine to wholeheartedly cooperate with God’s plans. Therefore, we should not be driven by fear, impulsiveness, ignorance, or anxiety. Sometimes the wisest, most difficult action is the decision to wait for God’s timing. 7:2 The Festival of Shelters occurred about six months after the Passover celebration mentioned in 6:4. This festival commemorated the days when the Israelites wandered in the wilderness and lived in tents (Leviticus 23:43). Celebrated in the month of Tishri (September/October in our calendar), it marked the gathering of the autumn harvest including the grapes (see Exodus 23:16). During this time many Jews went to Jerusalem and built shelters in which they would live for a full week while enjoying the festivities in the city (see Leviticus 23:33ff.). These simple dwellings helped the people remember their days of misery in the wilderness. Jesus demonstrated courage with such consistency that at times we overlook it. He ignored the urging of his brothers to do something that would have been foolish. Among Jesus’ teachings was the fact that real faith would divide families, and he experienced that truth firsthand. When those we love, whose approval we long to have, minimize or belittle our faith, we can recall Jesus’ example. He relied on God’s approval and timing, not on the expectations and demands of people around him. 7:3-5 Jesus’ brothers, the sons of Joseph and Mary, did not believe that their brother was the Messiah (see Mark 3:21, 31-35). Apparently, they did not become believers until after Jesus’ resurrection. After his resurrection, Jesus appeared to his brother James (1 Corinthians 15:7), who believed and eventually became the leader of the church in Jerusalem (Acts 15:13) and the author of the book of James. The prayer meeting that followed Jesus’ ascension included his family (Acts 1:14). The brothers were James, Joseph, Simon, and Judas (Matthew 13:55). Judas (Jude) later wrote the book of Jude. Matthew writes that Jesus also had half sisters (Matthew 13:56). Jesus’ brothers scoffed at him. The followers refers to the crowds, not the Twelve. Jesus’ brothers asked why he would remain in relative obscurity (in Galilee, at home with them) when he was trying to show the world he was the Messiah. They urged him to prove his identity by showing his wonderful miracles in Jerusalem, so that the world could see that Jesus was who he claimed to be. But because of their unbelief, they missed the point. The miracles had pictured Jesus’ power and glory. He would reveal his true glory and power through his death and resurrection, and the time for that revelation was coming. Jesus’ brothers had a difficult time believing in him. Two would eventually become leaders in the church and New Testament letter writers (James and Jude). But for several years they were embarrassed by Jesus. After Jesus died and rose again, his brothers finally believed. Today we have every reason to believe, for we have the full record of Jesus’ miracles, death, and resurrection. We also have the evidence of what the gospel has done in people’s lives through the centuries. We simply can’t afford to miss our opportunity to believe in God’s Son. 7:6 Jesus explained that now was not the right time for him to go. Jesus was simply indicating that the freedom to go up to Jerusalem had not yet come for him. As events unfolded, he did eventually go to the festival, but according to God’s timetable. Jesus added that his brothers could use time as if it was theirs to squander, basing their decisions about time only on immediate opportunities, and showing no apparent desire to fit into God’s plan. But Jesus’ time belonged to the Father; he lived according to a different and predetermined schedule. His every step on this earth had a purpose; he would only act according to God’s timetable. Whether he would go to this festival, and when he would go, would be determined by God alone, not by harassing relatives or waiting crowds. Many of us excuse our poor use of time by thinking that if we knew exactly what God wanted us to do, we would use our days more wisely. We need to ask ourselves, however, how well we have followed the many specific guidelines given in God’s Word about the use of time (for example, Exodus 20:8-11; Ephesians 5:15-21; Philippians 4:4-9; Colossians 4:2, 5-6). Perhaps God has withheld his guidance from us because we are unwilling to put into practice the directions he has already given. 7:7 The world at large hates Jesus because his testimony (as the Light of the World) exposes the world’s evil (see 3:19-21). By the world John means this nonbelieving world’s system of values and all those in it who have no love for or devotion to God. The world hated Jesus for accusing it of sin and evil. At this time Jesus’ brothers were one with the world in not believing in Jesus; therefore, the world could not hate them. Rebellion loves company. People do not realize that indifference to Christ makes them partners with those who hate Christianity. Whoever believes in Jesus must expect to be rejected and hated by the world (see 15:18-25). Because the world hated Jesus, we who follow him can expect that many people will hate us as well. They will consider our beliefs and life-style narrow-minded, intolerant, and prudish. We should not be surprised or embittered by the rejection of those still uncommitted to Christ. In fact, the way we accept rejection may be used by God to make a powerful impression on someone. If circumstances are going too well, we ought to ask whether or not we are following Christ as we should. We can be grateful when life goes well, but we must make sure we are not following Jesus halfheartedly or simply conforming to those around us. We must not compromise our faith in order to be accepted by our neighbors. 7:8-9 Jesus would do nothing by coercion or persuasion of others. Whatever he did would be done for his Father’s glory and on his Father’s timetable. In this incident, Jesus’ brothers seem to be trying to taunt him into proving he is the Messiah. But Jesus knew his mission. No one, not even his taunting brothers, would turn him away from what he had come to do and from the way he had chosen to do it. True to his word, Jesus did not go up to Jerusalem when his brothers wanted him to. He remained in Galilee until after they left. Throughout this chapter John highlights the various opinions the Jews had about Jesus. Before Jesus appeared at the festival, opinions about him were swirling through the visiting crowd. Some of these Jews may have seen Jesus’ miracles or heard him teach; others may have only heard of what he had done both in Jerusalem and in Galilee. That particular year, Jesus was the hot topic of conversation during the Festival of Shelters. Meanwhile, Jesus was leaving Galilee for the last time. Events were moving rapidly toward “his time,” and he would have no further opportunities to travel back to the area where he had spent his childhood. This visit marked the third appearance of Jesus in Jerusalem during his ministry (2:13; 5:1). 7:10-12 After Jesus’ mocking brothers left for the festival in Jerusalem, Jesus also went, though secretly. Jesus would not go up to Jerusalem for the purpose of showing himself to be the Christ (which was what his brothers had told him to do, see 7:3-4). In fact, Jesus could not be found during the first few days of the festival (see 7:11, 14). Jesus came with the greatest gift ever offered, so why did he act secretly? The religious leaders hated him, and many would refuse his gift of salvation no matter what he said or did. The more Jesus taught and worked publicly, the more those leaders caused trouble for him and his followers. So it was necessary for Jesus to teach and work as quietly as possible. He still had many lessons to teach his inner circle of twelve disciples, and much of this teaching needed to be done without the impact of the crowds or the harassment of the authorities. Jesus’ primary objective was not to exclude the crowds, but to seclude himself with those who were ready to move on in belief. The proclamation of the gospel is often a public effort; but training and discipleship progress more effectively in private. In the events that follow, a lot happened behind the scenes. Not only did Jesus travel to Jerusalem in secret, but intrigue and subterfuge were at work everywhere. The crowds were buzzing with opinions about Jesus, yet there was no clear consensus. The Jewish leaders were busily conferring and watching for the right time to legitimately arrest him. The tension-laden atmosphere fostered both excitement and treachery. Today most of us can teach, preach, and worship publicly with little persecution. But at times, these very freedoms can lull us into complacency. Because we can practice religious freedom whenever we desire, some of us never get around to doing it. So our freedom means very little. In addition, our spiritual freedoms erode because our unfaithfulness and lack of diligence have allowed generations to grow up without learning the relevance of biblical truth, prayer, and personal integrity. We should be grateful and make the most of our opportunities to proclaim and practice the gospel while we have the freedom. 7:13 The Jewish leaders had a great deal of power over the common people. Apparently these leaders couldn’t do much to Jesus at this time, but they threatened anyone who might publicly support him. They could use excommunication from the synagogue as a reprisal for believing in Jesus (9:22). Jews considered this a severe punishment. Jesus’ listeners had their opinions but were afraid to express them. This created a power stalemate between the religious leaders and the crowds. Everyone was talking about Jesus! But when it came time to speak up for him in public, no one said a word. All were afraid. Fear can stifle our witness. Although many people talk about Christ in church, when it comes to making a public statement about their faith, they are often embarrassed. Jesus said that he will acknowledge us before God if we acknowledge him before others (Matthew 10:32). Be courageous! Speak up for Christ! 7:14-15 Midway through the festival, Jesus came out from secrecy and began to teach in public, in the extremely visible outer court of the Temple. Jesus’ delay in arriving and the crowd’s divided opinion created an anticipation for his appearance and teaching. The atmosphere was tense and excitable. When the Jewish leaders heard Jesus, they were surprised at his knowledge, having never been trained as a rabbi in their schools. In other words, Jesus had no official human certification. He spoke with authority without relying on license or degree to legitimize his teaching. From what follows this statement about the amazement of the crowd, we understand that the unrest among the people about Jesus’ identity continued to develop. After the crowd’s initial amazement, they grew restless over the issues of Jesus’ identity and began to take sides. 7:16-18 Jesus’ teaching was authoritative because it originated from God, not from himself. Those who knew God and sought to do the will of God would know whether his teaching was from God or was his own. Unlike those who present their own ideas and are looking for praise for themselves, Jesus sought to honor the one who sent him. Jesus determined to bring God’s message of salvation to humanity and thereby to bring him glory. Therefore, Jesus could rightfully claim about himself that he is good and genuine. And only those who want to do God’s will can recognize Jesus for who he is—God’s Son. Jesus was saying that those who examine his teaching or the signs that accompanied his ministry must be open-minded and desire to respond to God’s will once it is known. Some people who demand more evidence may be covering up their refusal to submit to God. Every believer who desires to know God’s will must seek it with the intention of obeying it once it has been found. 7:19 Beginning with verse 19, Jesus alluded to the debate he had with the Jews during his last visit to Jerusalem (see 5:18ff.). Because Jesus had healed a man on the Sabbath and then directly implied his own equality with God, his Father, the Jewish religious leaders wanted to kill him for Sabbath-breaking and blasphemy. The Pharisees tried to achieve holiness by meticulously keeping the rules that they had added to God’s laws. Jesus’ accusation that they didn’t obey the law of Moses stung them deeply. In spite of their pompous pride in their accomplishments and their rules, they did not measure up, for they were living far below what the law of Moses required. By enforcing their own laws regarding Sabbath-breaking and blasphemy, they were about to break one of the Ten Commandments: “Do not murder” (Exodus 20:13). But they didn’t see this error; they so hated Jesus that they were blind to their own sin. 7:20 In response to Jesus’ charge that they were trying to kill him, the people responded with an accusation of their own and a question. We cannot know how widely spread the plot against Jesus was. But verse 25 records the fact that a certain “they” were trying to kill him, and their intentions were widely known. At this point, the crowd wanted to know whether Jesus could identify the people behind the plot. But this crowd also blasphemed against Jesus by charging him with being demon possessed. Mark records an earlier incident (Mark 3:22-30) when a similar charge was leveled against Jesus. It was a particularly effective tactic on the part of the religious leaders to admit the spirituality of Jesus, but then define it as evil. This time Jesus did not even bother refuting the obvious dishonesty of the allegations. 7:21-24 Because Jesus was in Jerusalem, he most likely was referring back to the miracle in 5:1-15—the healing of the paralyzed man. Jesus mentioned that he had healed on the Sabbath, the point of contention surrounding the miracle. Jesus reminded the people again that their spiritual priorities were wrong. He noted that, according to Moses’ law, circumcision was to be performed eight days after a baby’s birth (Genesis 17:9-14; Leviticus 12:3). This rite demonstrated the Jews’ identity as part of God’s covenant people. If the eighth day after birth fell on a Sabbath, they still performed the circumcision (even though it was considered work). By referring to Abraham performing circumcision, Jesus was pointing to an authority and principle prior to Moses. By healing the whole person, Jesus demonstrated that his creative power was equal to God’s and superior to Moses’. The point was that while the religious leaders allowed certain exceptions to Sabbath laws, they allowed none to Jesus, who simply showed mercy to those who needed healing. He demonstrated from their own practices that they would overrule a law when two ceremonial laws came into conflict. But the Jewish leaders were so engrossed with their regulations about Sabbath-keeping that they failed to see the true intent of Jesus’ actions. Their superficial but tenacious adherence to their own traditions would cause them to miss the Messiah, to whom their Scriptures pointed. 7:25-27 Some of the people of Jerusalem had heard that the religious rulers were trying to kill Jesus. But since he was speaking in public and none of the rulers attempted to stop him, they wondered if the rulers had reconsidered and had recognized that Jesus really was the Messiah. But this seemed improbable to the crowds because even they could think of some objections. Many consider neutrality to be a sign of maturity and objectivity. Maintaining a neutral position toward Christ may be popular, but it is dangerous. People stay undecided about Jesus under the pretense of not wanting to make a hasty or wrong judgment. But Jesus never allowed indecision. He confronted men and women with the unavoidable choice of belief or unbelief. Today those who remain undecided must understand that they remain, by that choice, in opposition to Christ. 7:28-31 Knowing that the people did not believe in him, Jesus said: “Yes, you know me, and you know where I come from.” Some versions render this sentence as a question rather than a statement. The people did indeed know where he was from geographically (he grew up in Galilee), but they really did not know because, as Jesus went on to say: “I represent one you don’t know, and he is true. I know him because I have come from him, and he sent me to you.” Jesus was declaring his divine origin and divine commission. From Jesus’ proclamation we can gather that it is important to know, not from where Jesus came, but from whom he came. To recognize this origin requires revelation. But the people did not know Jesus because they did not know the one who sent him. This was too much for the leaders who tried to arrest him. This was the first spontaneous attempt to restrain Jesus. A little later there was an official attempt described in verse 32. But Jesus could not be detained, for his time had not yet come. The verse between the two attempted arrests says that many believed. There was turmoil in the crowd about Jesus’ true identity. People were taking sides. Some people believed and others did not. For a while there had been general confusion. But the confusion was resolving into belief and unbelief. Those who believed Jesus concluded that he had presented the true credentials of the Messiah. Nicodemus tactfully confronted the Pharisees with their failure to keep their own laws. The Pharisees were losing ground—the Temple guards came back impressed by Jesus (7:46), and one of the Pharisees’ own, Nicodemus, was defending him. With their hypocritical motives being exposed and their prestige slowly eroding, the Pharisees renewed their efforts to protect themselves. Pride would interfere with their ability to reason, and soon they would become obsessed with getting rid of Jesus just to save face. What was good and right no longer mattered. 7:32-34 Aware that the Jewish religious leaders had sent Temple guards to arrest him, Jesus alluded to his coming death: “I will be here a little longer. Then I will return to the one who sent me.” No one would be taking Jesus’ life from him; rather, he would depart this life according to the preordained time and then return to his Father. Jesus’ statement also served as a calm warning to those who were plotting against him that their efforts would only succeed subject to God’s plan. At that time, says Jesus, “You will search for me but not find me. And you won’t be able to come where I am.” Another way to say this is, “You will seek me and not find me because your unbelief has rendered you unable to understand where I am.” Even after Jesus (the true Messiah) left, the Jews would continue to seek for the coming of the Messiah but would never find him—because he had already come! 7:35-36 The Jewish leaders, not understanding that Jesus’ statement referred to his death, wondered if he was speaking about going to the Jews in other lands or even to the Gentiles. The Dispersion or Diaspora is a technical term referring to the large number of Jews who were “dispersed” (or scattered) throughout the Roman Empire and beyond. Some of the Jews were dispersed among the Gentiles. The Jews listening to Jesus wondered if he was about to depart Judea and go to these Jews. The mention of Greeks in this passage ought to catch the attention of those who are not Jewish. John’s readers appreciated the startling and hopeful nature of Jesus’ words. To appreciate the impact, we must remember that the Jewish people perceived anyone who was non-Jewish as totally isolated from God. They regarded the Greeks or Gentiles as pagans and infidels, cut off from God, without hope. But Jesus’ message promises rivers of living water to “anyone” who is thirsty. If we have believed in Jesus, we have discovered that God’s grace extended even to us! 7:37-39 The last day, the climax of the festival, was the eighth day. During the Festival of Shelters, the Jews celebrated the memory of how God protected their ancestors in their travels across the wilderness to the Promised Land, guiding them on their way and providing them with manna and, on one occasion, water from a rock (see Exodus 17:1-7). Every day during this festival, except for the last day, a priest stood in front of the Temple with a golden pitcher of water and poured the water on a rock. This commemorated the water flowing out of the rock that gave the Israelites water to drink. They performed this ceremony each day of the festival except the eighth, when they offered public prayers for continued rain. Thus, on the last day when the water was not poured out, Jesus stood and said in a loud voice, “If you are thirsty, come to me! If you believe in me, come and drink! For the Scriptures declare that rivers of living water will flow out from within.” Jesus’ words, “Come and drink,” allude to the theme of many Bible passages that talk about the Messiah’s life-giving blessings (Isaiah 12:2-3; 44:3-4; 58:11). By promising to give the Holy Spirit to all who believed, Jesus was claiming to be the Messiah, for that was something only the Messiah could do. There is no particular verse in the Old Testament that exactly says “rivers of living water will flow out from within.” Jesus was either paraphrasing a verse like Psalm 78:16 or Isaiah 58:11. John provided an explanatory note: He was speaking of the Spirit, who would be given to everyone believing in him. At that time, the Holy Spirit had not yet been given to all believers. That happened after Jesus entered into his glory through the resurrection and ascension (see 16:7-16). The availability of the Spirit is linked with the glorification of Jesus, for it was after Jesus’ glorification through death and resurrection that the Spirit became available to believers (see 20:22). Those listening to Jesus’ words knew the importance of water. They knew, as we do, that water is essential for life and crops. Yet they did not take water for granted. Such a rare, precious commodity made an effective symbol. All the water anyone used in their homes had to be carried from nearby springs or wells. People handled water carefully and conserved it. Because much of the country was arid, the survival of the crops was determined by rain. Late rains could cause the planted seeds not to germinate. In the cultivation of grapes, for instance, the vines require at least one hundred gallons of water in order to produce one gallon of wine. Symbolically, water came to represent the people’s deliverance in the wilderness when they were actually dying of thirst. Jesus’ claims reflect both the availability and the abundance of God’s provision. He promised rivers of living water and bread from heaven so that thirst and hunger would be no more. we lean on the comforts of this life and our personal gratification instead of looking to the eternal destiny that Christ has promised. 7:40-44 Jesus’ exclamatory invitation generated faith in some of the hearers. Some said, “This man surely is the Prophet” (meaning the Prophet predicted by Moses in Deuteronomy 18:15-18); others said, “He is the Messiah.” But others could not believe. They were convinced that the Messiah would not come from Galilee. They argued correctly from the Scriptures that he was to be born of the royal line of David, in Bethlehem (see Psalm 89:3-4; 132:11; Isaiah 9:6-7; 11:1; Micah 5:2). And, in fact, Jesus was David’s son (see Matthew 1:1-18; Romans 1:3-4) born in Bethlehem (see Matthew 2:1-6; Luke 2:1-11). But soon after his birth, Jesus’ parents took him to Egypt to protect his life. Later, they brought him to Nazareth of Galilee (the hometown of Joseph and Mary), where he grew up (see Matthew 2:13-23). Thereafter he was identified as a Galilean and a Nazarene, not a Judean or a Bethlehemite. However, Jesus never once tried to explain that his birthplace was Bethlehem. Instead, he always pointed to his divine, heavenly origin. If a person knew God, he would know that Jesus was the Christ. As the crowd argued about Jesus’ identity, they were divided and some wanted him arrested. But his time had not yet come, so no one touched him. There can be no fence sitting when it comes to deciding about Jesus Christ. 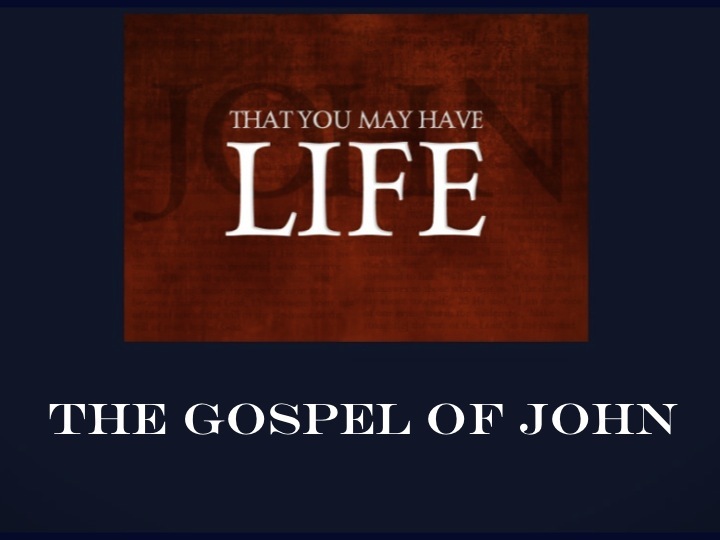 By this point in the Gospel of John, it is already clear that picking and choosing what we like from the teachings and life of Jesus is unacceptable. If belief in Christ does not include his divine identity and his “hard teachings,” it isn’t really belief in him as he defined it. We must remember that claiming to accept the teachings of Christ includes accepting what he taught about himself. Jesus did not welcome fence sitting. Have you decided to follow or reject Christ as Lord? 7:45-49 The Temple guards were very likely police under the jurisdiction of the Jewish religious rulers, not the Romans. Some of the Levites were probably assigned this duty. Although the Romans ruled Palestine, they gave the Jewish religious leaders authority over minor civil and religious affairs. The religious leaders supervised their own Temple guards and gave the officers power to arrest anyone causing a disturbance or breaking any of their ceremonial laws. But these Temple guards couldn’t find one reason to arrest Jesus. And as they listened to Jesus to try to find evidence, they couldn’t help but hear his wonderful words. Although sent by leading priests and Pharisees with specific orders to arrest Jesus, the guards returned empty-handed. When asked why they did not bring Jesus, they said, “We have never heard anyone talk like this!” When the guards heard Jesus, they recognized that they were listening to a man like no other, for, in fact, they were listening to the Son of God (see Matthew 7:29; Luke 4:22). But the Pharisees rejected this simple testimony. They asked these guards if they, like the crowd, were also led astray. If Jesus really were the Messiah, they argued, at least some of the religious rulers would believe in him. And since not a single one of them did, then this man could not be the Messiah. Maybe the crowds believed in him, but the crowds were ignorant. But in judging the people for their supposed ignorance, the Pharisees were judging themselves, for they were ignorant of God and did not know the one he sent. Perhaps, until now, these temple guards had been protected by their duties from coming face to face with Jesus and hearing his teachings. But here they found themselves exposed. Being confronted directly with the character and words of Jesus always makes a greater impact than we may imagine. God doesn’t limit his life-giving insights to the academically trained or the socially elite. Meeting and observing Jesus led these simple men to give a ringing testimony to Jesus among those who hated him. Our task is to present Christ so that others may see him in action and hear his remarkable testimony. 7:50-52 Nicodemus, who had gone to Jesus earlier and who was one of their own number (see 3:1-21), asked, “Is it legal to convict a man before he is given a hearing?” Nicodemus attempted to make his fellow Pharisees adhere to the law they claimed to know and to act fairly and justly. An accused person, according to Deuteronomy 1:16, must first be heard before being judged. This passage offers additional insight into Nicodemus, the Pharisee who visited Jesus at night (chapter 3). Apparently Nicodemus had become a secret believer (see 12:42). Since most of the Pharisees hated Jesus and wanted to kill him, Nicodemus risked his reputation and high position when he spoke up for Jesus. His statement was bold, and the Pharisees immediately became suspicious. After Jesus’ death, Nicodemus brought spices for his body (19:39). That is the last time Nicodemus is mentioned in Scripture. But these Pharisees would not listen even to one of their own. The depth of their real allegiance to the law became clear when their position was threatened by the truth. They retorted sarcastically, “Are you from Galilee, too? Search the Scriptures and see for yourself—no prophet ever comes from Galilee!” The Pharisees and religious leaders were confident that they could reject Jesus as having any claim as the Messiah because of his Galilean origin. But they were wrong on three counts: (1) Jesus was born in Bethlehem, the city of David (Luke 2:4-11; also Micah 5:2); (2) The Scriptures do speak of the Messiah as a “great light” for Galilee (Isaiah 9:1-2); (3) Jonah (2 Kings 14:25) and Elijah (1 Kings 17:1) came from this region. The leaders may have been referring to the Prophet of Deuteronomy 18:15. They were proud and certain that he would come from their territory, Judea.